Until approximately 500 hundred years ago, the vast majority of the people in all regions of the world were directly involved in the production of food. Since the 15th century CE, innovations in agricultural production gradually led to diversification and specialization within world economies. This process eventually led to industrialization and widespread urbanization. Historians who study the history of economic change and development report that the process of economic diversification and specialization occurred at approximately the same time in a number of African societies as it did in Europe. An example of economic specialization and diversification comes from the Yoruba kingdoms and societies of South-Western Nigeria (see map). We will return to a more detailed history of the Yoruba and other West African kingdoms in a later lesson. 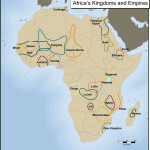 From Module Seven: African History, you will remember that as early as the 15th Century C.E. Yoruba speaking peoples began to develop into centralized political kingdoms along the boundary between the savannah and forest regions of Nigeria . The most famous of these early Yoruba kingdoms were Benin and Oyo. The development of these states was facilitated by changes in economic practice, particularly in agriculture. Agricultural productivity was assisted by new skills, new crops, and the introduction of stronger metal tools, which allowed for clearing and planting of larger areas of land. The increase in food production provided the opportunity for people to become more engaged in non-agricultural economic, social, and cultural activities. The production of food surplus helped to facilitate the development of economic specialization of activities. Some non-agricultural activities, such as metal smithing that had previously been limited to times of the year when people were less busy in farming activities, could now be done on a full-time basis. 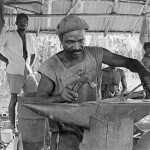 With more spare time, people were able to concentrate on non-agricultural activities and greatly improve their skills. 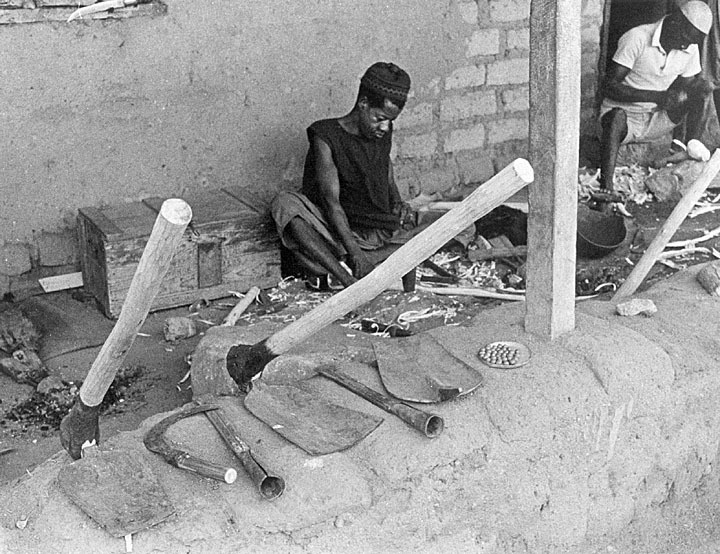 In the Yoruba societies, a number of specialized occupations developed, two of the most important being metal-smithing and textile production. 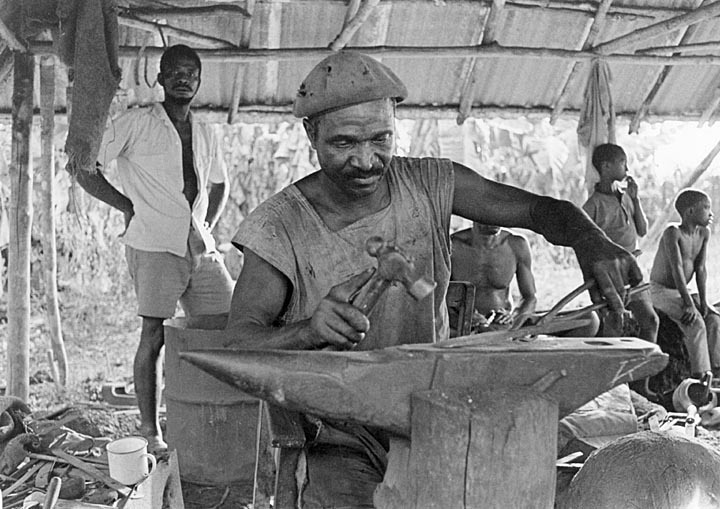 Highly skilled metal smiths developed stronger and more efficient agricultural tools that further increased agricultural productivity. 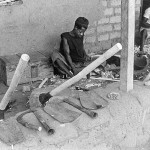 In addition, they also produced improved weapons, a factor which became important in the expansion of Yoruba kingdoms. Yoruba textile production became an important economic and trade activity beginning as early as the 17th Century. Cotton was imported from the savannah regions to the north of the Yoruba areas. There were a number of specialized activities associated with this textile industry- spinning thread, dying, and weaving cloth. By the 19th Century, the Yoruba societies, along with other West African societies, had moved beyond self-sufficiency in textiles and were engaged in an active trade with other areas of West Africa. Economic diversification, specialization, and trade are among the most important factors that led to the development of strong political kingdoms among the Yoruba. 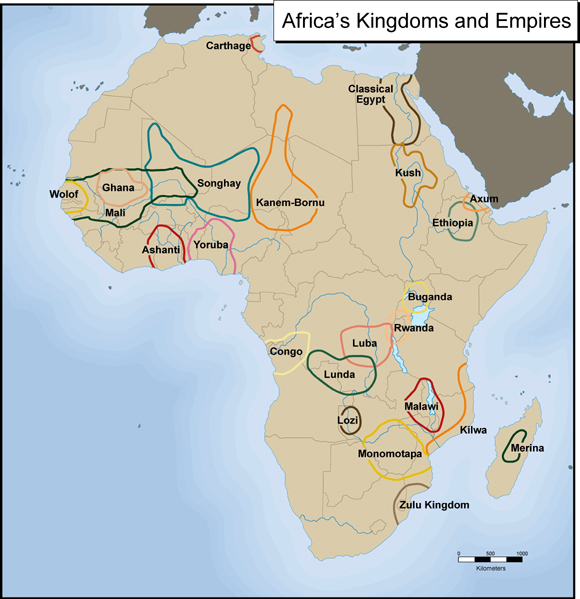 Module Ten: The Politics of Africa will look at the development of pre-colonial kingdoms in West Africa. For this lesson, it is important to draw the connection between economic development and political development as illustrated by the Yoruba kingdoms of Benin, Oyo, and in the 18th Century Ibadan, Ife, and Abeokuta. Diversity, specialization and trade were essential to the growth of these kingdoms in four major ways. First, surplus production of food allowed for political specialization. That is, elders and other “traditional” leaders were not obligated to engage in subsistence farming. This allowed time for “statecraft,” or the development of more specialized and complex political organization. Second, specialization increased the revenue (money collected by the state) that rulers were able to raise through various forms of taxation. Much of the taxation came in the form of tribute, gifts that citizens were required to give their kings. Tribute was often given in the form of food and specialized goods, such as textiles and metal tools and weapons. Yoruba rulers, much as rulers elsewhere in the world, used the revenue and tributes to increase the power of the state. For example, with tribute of food and weapons, Yoruba rulers were able to feed and equip armies that were used to expand the territory controlled by the rulers. Third, Yoruba rulers were able to control external trade between their kingdom and other peoples. Traders were required to give a small portion of the goods that they traded to the state. The revenues generated for the royal treasury through the taxation of trade greatly enhanced the power of the Yoruba Kingdoms. Fourth, agricultural surplus and specialization freed up the labor of some young men who could be recruited and trained as “professional” soldiers. Yoruba rulers used soldiers and revenues generated from economic development and trade to expand the borders of their kingdoms, further strengthening the political system. Many societies and cultures produce wonderful art. The Yoruba cultures are no exception. 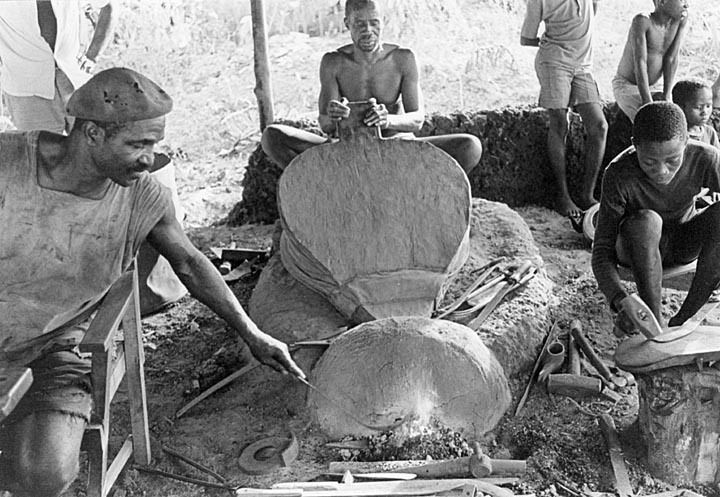 As will be detailed in Module Twelve: African Art, Yoruba artisans have produced very sophisticated clay, wood, textile, and metal artifacts for many centuries. However, economic diversification and specialization provided the opportunity for the development of professional artisans. Among the many fine examples of Yoruba art are beautiful Benin Bronze statues. The Yoruba artists who produced these statues used a special lost wax technique to produce their art. In the 19th Century, European traders and colonial officials were so impressed with the Benin Bronzes that they collected many of them and shipped them to Europe to be placed in museums. Over the past century, Benin Bronzes have greatly increased in value. 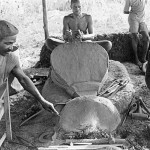 information on the movement to return Bronzes from Museums in Europe to Benin and Nigeria. If you like to draw, instead of using pictures of Benin Bronzes posted on the web, do your own copy of Benin Bronze. Once your teacher has looked at your work, make a final copy of your report. Here is a website to get you started.